Energel Alloy Retractable Gel Pen offers a deluxe premium metal barrel and an ideal blend of liquid and gel for the best of both inks. 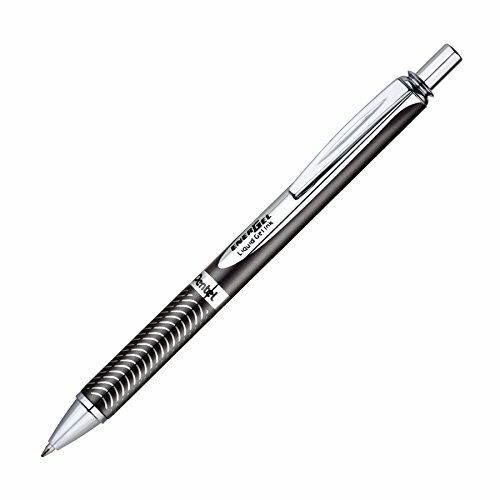 The stainless steel tip delivers the ultimate writing experience as rich liquid, gel ink glides across paper. Vivid, acid-free, super-smooth ink dries quickly without smearing or blotting and is great for left-handed writers. Sleek, balanced alloy, black barrel is ideal for maximum writing performance. The distinctive, textured grip area provides extended comfort while you write. Gel pen is retractable to protect pockets and purses and refillable with Pentel LR7 metal-tip refill cartridges.